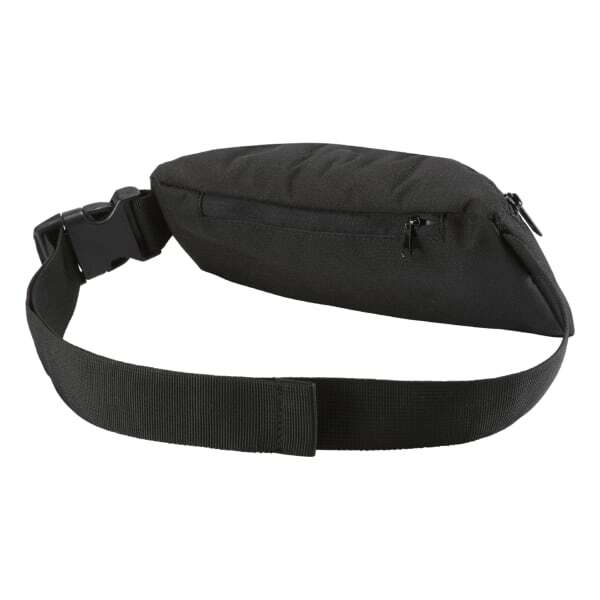 This unisex waistpack combines mini storage with max style, and organizes your essentials with two zippered pockets. An adjustable strap with a buckle clip lets you dial in the fit for any occasion. The embossed graphic adds bold branding to any casual look.